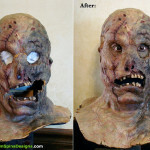 Restoration of a screen used Jeepers Creepers movie prop mask, turning aging foam latex into a stunning display bust! 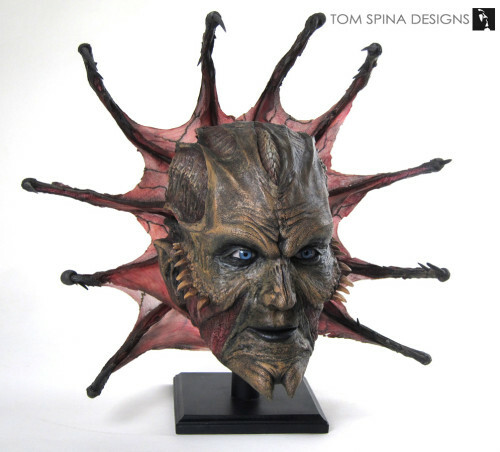 We took an original, Jonathen Breck Jeepers Creepers movie prop mask and turned it into a beautiful bust of the character! 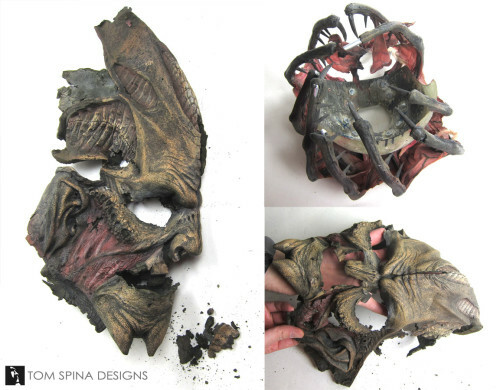 This foam latex prosthetic mask was used in Jeepers Creepers 2 and sent to us for restoration & display mounting. 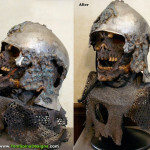 The prop pieces arrived quite fragile and folded and our team of restoration artists set about conserving the pieces and then creating the display bust. 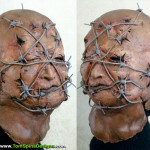 The prosthetics were carefully applied and mounted to a custom cast head form for long term stability. Once in place, we could see where the gaps were in the material and those were then filled and textured using archival materials. We constantly research new techniques and materials in order to enhance the archival qualities of the work we do. We strive to only use materials that are safe for the long term. Wherever possible, our solutions are flexible, non-tacky when dry, non-yellowing and acid-free. 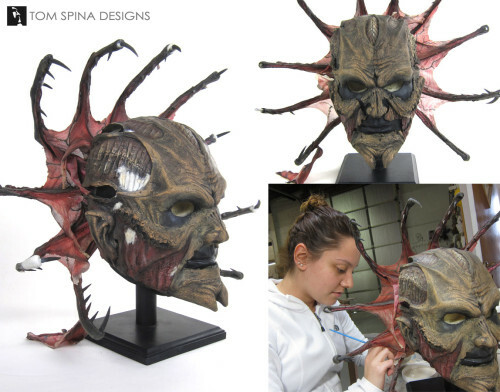 Once the surfaces were blended and texture matched, the repairs were finished with targeted paint touch up, which consisted of only painting the repairs and not the whole mask, of course! Custom blue glass eyes were added. The eyes were mounted and new lids sculpted into the form to bring this bust of the Creeper (back) to life! 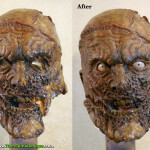 Check out this up close look at our restoration!